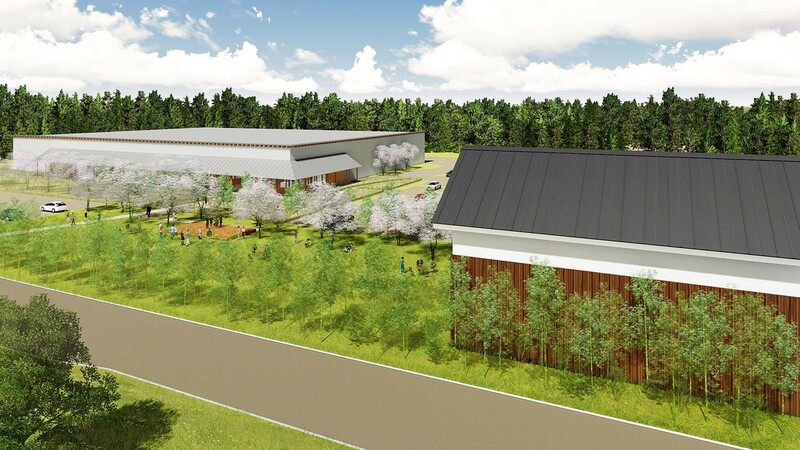 Architects’ rendering of the Asahi Shuzo premium sake brewery to be built in Hyde Park, NY. The company will be collaborating with The Culinary Institute of America to bring advanced sake education to the United States. In 2005, Tuthilltown Spirits became the first whiskey distillery in New York State since Prohibition. Through founder Ralph Erenzo's lobbying efforts, he prompted the Farm Distillery Act of 2007, which effectively opened the floodgates for craft distillers in the region. Now just over a decade later, there are over 1,000 craft producers in New York. 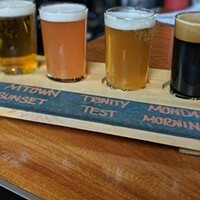 The craft beverage industry has become a major engine for economic development and tourism both, drawing boozy tourists both from within the state and the Northeast at large. But what became clear this year, is that Hudson Valley has also captured the international imagination as a craft spirits mecca. In Putnam County, Romanian spirits giant the Alexandrion Group has a $100-million distillery project in the works, which will produce range of spirits geared toward the American market, from bourbon to gin. 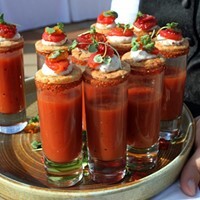 And in April, one of Japan’s premier sake brewers, Asahi Shuzo, announced a collaboration with the Culinary Institute of America, to build the company’s first US facility in Hyde Park. Sake has seen increasing popularity in the United States, and globally, as the Japanese sake industry has evolved. Many brewers are looking to expand and capture a part of the growing market share. This new project has us wondering if sake might just be New York's next craft beverage craze? With a 250-year legacy, Asahi Shuzo is one of the oldest and most esteemed sake producers in the world. Their Japanese brand, Dassai, produces top shelf sake, made exclusively with Yamada Nishiki rice, dubbed the “King of Sake Rice.” While most sake breweries expanding outside of Japan have settled on the West Coast, Asahi Shuzo management was drawn by the burgeoning craft beverage industry and globally recognized culinary powerhouse, the CIA. In keeping with the region’s resourceful renaissance, this $28-million project is a feat of adaptive reuse, transforming the former site of the Hyde Park Stop & Shop, at 5 St. Andrews Road. The design for the building is a collaboration between Tokyo-based firm Jun Mitsui & Associates Architecture and Pelli Clark Pelli Architectshttps://www.forbes.com/sites/taranurin/2017/02/28/u-s-sake-sales-soar-as-brewers-around-the-world-defy-ancient-japanese-traditions/#6f172b06380e of New Haven, Connecticut. 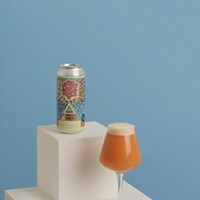 The 52,000-square-foot building will be retrofitted to house a rice refinery and brewing tanks, a tasting room, and a retail shop. At full capacity, the brewery will produce 332,000 gallons of sake a year, and employ 32 people. The landscape design for the brewery will minimize the parking areas and emphasize the natural assets. The ancient Japanese custom of hanami, which means flower viewing, is at the heart of the vision for the exterior. Every spring Japan blushes pink, as the cherry trees burst into bloom along streets, on hillsides, and in parks. During this time, lovers, friends, and families with children flock to the parks and sit beneath the pink boughs, while sipping sake and enjoying a picnic. CIA President Dr. Tim Ryan (right), Asahi Shuzo President Kazuhiro Sakurai, and Chairman Hiroshi Sakurai talking about the sake education partnership between The Culinary Institute of America and Asahi Shuzo on April 10, 2018. 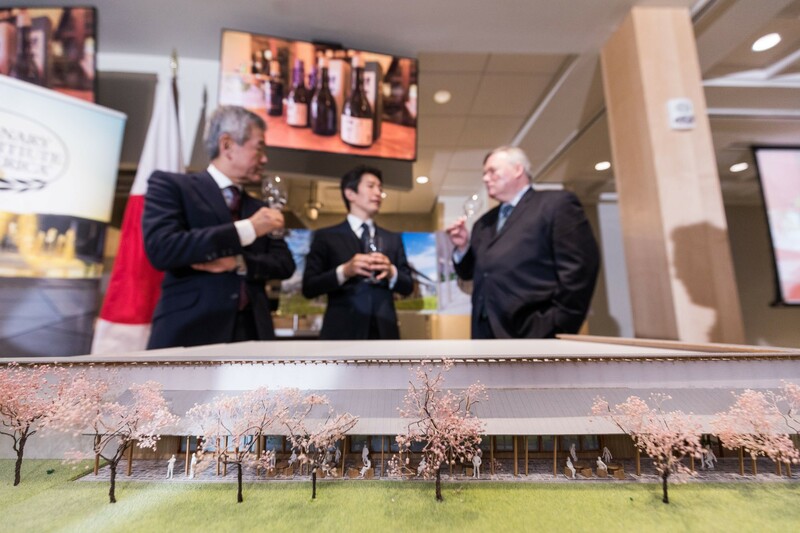 In the foreground is a scale model of Asahi Shuzo’s new brewery to be built in Hyde Park, NY. As part of the partnership, the CIA will be developing workshops, events, curricula, and certification programs to further awareness of Japanese culture and cuisine. Together, the CIA and Asahi Shuzo will also explore uses for the by-products of sake-making, including as a possible flavor in food dishes. “We are excited to see how the creativity and ingenuity of the CIA will elevate the use of sake to create new flavors and taste profiles,” Sakurai says. The brewery is slated to open in Spring 2019, in time for the cherry blossoms.